Though it's unclear when Pro Era magnate Joey Bada$$ will deliver a full-length follow-up to B4.Da.$$, the Beast Coast rhymer has given his many fans a brand new track. To put it in the words of the rapper himself, "tell me, is you ready, is you really ready," because the track is streaming now. Fittingly enough, it's called "Ready." As with many of the MC's classic tracks, the beat was provided by soul sampler Statik Selektah. 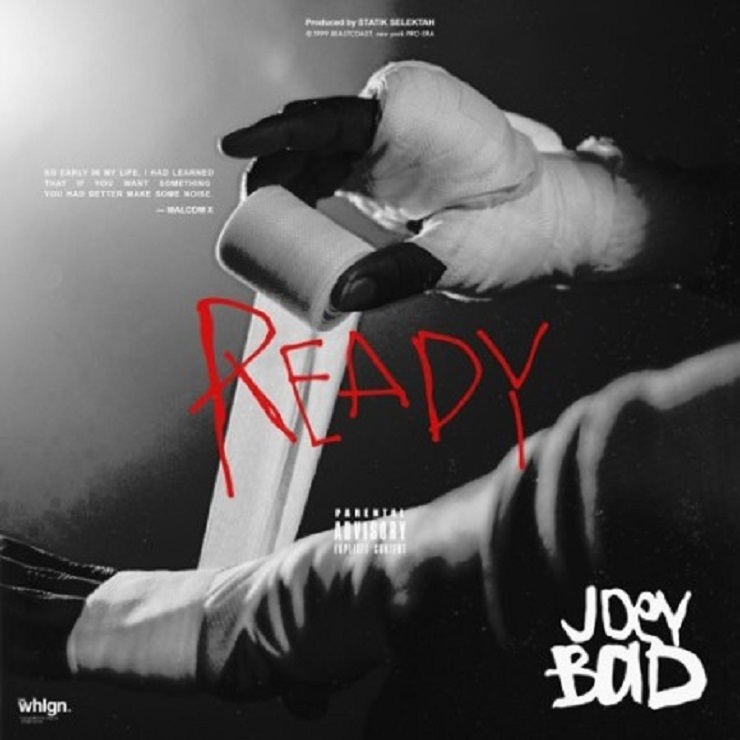 This time around, he's given Joey Bada$$ a sweet backdrop of bombastic snare claps, piano ambiance, and chimes to work his gravelly flow over. Lyrically, Bada$$ talks about being an unstoppable force, not unlike fictional movie boxer Rocky Balboa. That comparison comes with a dig at the paparazzi and a double entendre seemingly referencing a recent run-in with a photographer that mistook him for A$AP Rocky. You'll find the rest of Bada$$'s lyrical jabs down below.